CES 2008—Las Vegas, Nevada—January 11, 2008—OCZ Technology Group, Inc. (LSE: OCZ), a worldwide leader in innovative, ultra-high performance and high reliability memory, computer components, and systems, today unveiled a number of ground-breaking, next generation products at the 2008 Consumer Electronics Show. With last year’s acquisition of Hypersonic PC and PC Power & Cooling, two cutting edge providers of high-end computing products, OCZ will have a wealth of new solutions covering the entire span of the enthusiast industry, from high performance hardware to complete desktop and laptop systems. As the leader in high performance memory, OCZ is showcasing ultra-high speed DDR3 solutions designed for the extreme enthusiast. The latest Flex archetype, “Flex2,” offers the most efficient thermal management through the optimal balance of liquid and air cooling for high performance memory modules. 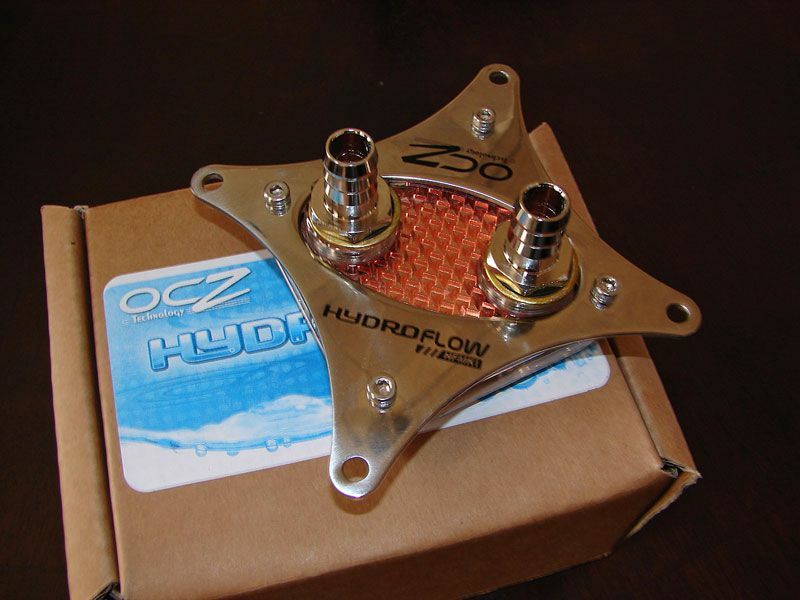 Expanding into water cooling accessories, OCZ developed the HydroFlow CPU waterblock unit to cool the most powerful processors paired with any liquid cooling set-up. 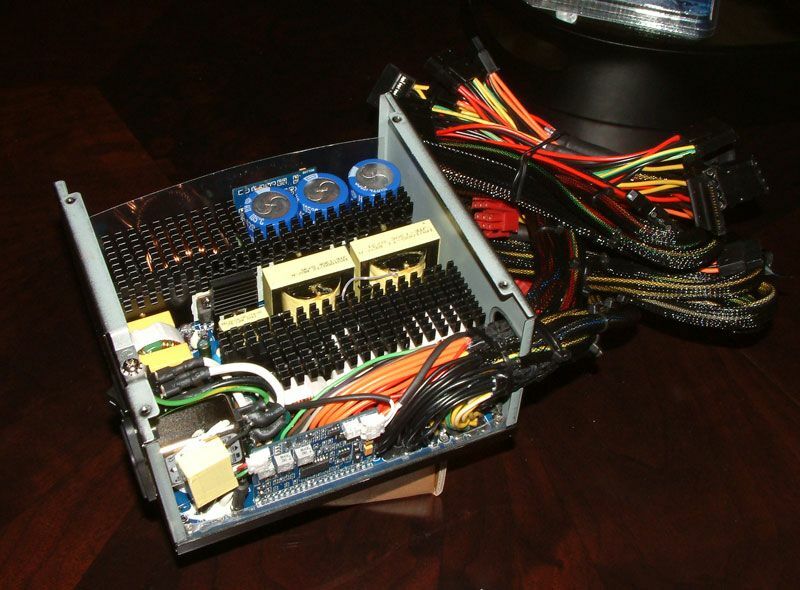 The HydroFlow was designed with the highest possible exchange rate between the block and the coolant with the unique triangular fin design, and is the preeminent way to efficient cooling for overclocked CPUs. The Flex2 and HydroFlow will be debuted together for water-cooling fanatics. 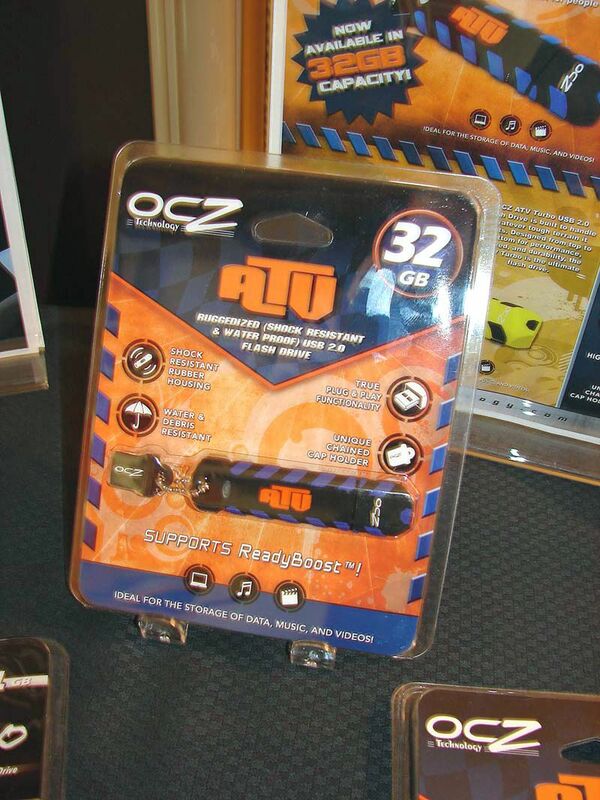 In 2008, OCZ intends to make mobile storage more accessible than ever with the speedy Rally2 and ultra-durable ATV flash drives now available in incredible 32GB capacities. 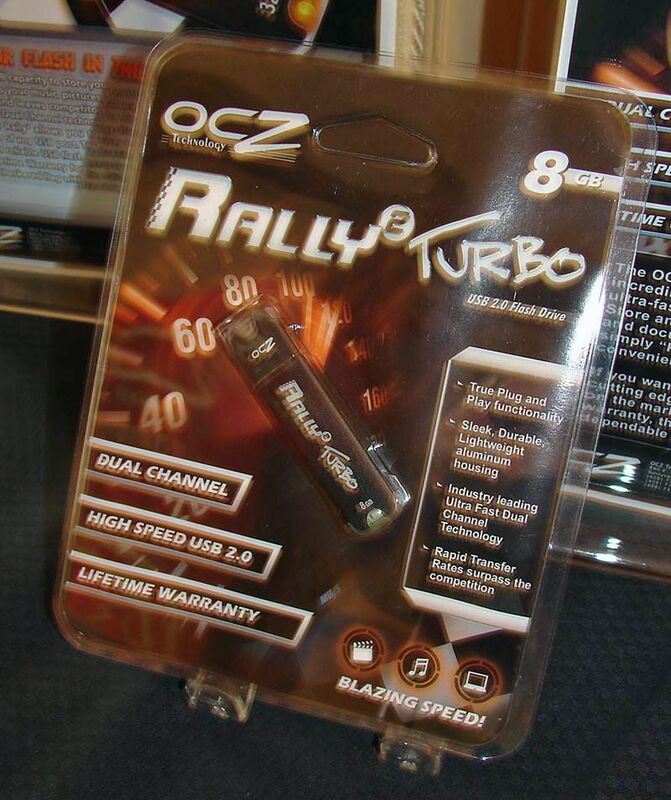 Additionally, OCZ is introducing the all-new Rally2 Turbo, an even faster version of the highly awarded Rally2. With a never-ending quest to revolutionize new markets, OCZ will also introduce its new high-capacity SATA and SATAII Solid State Drives offering consumers more power efficient alternative to standard hard disc drives for laptops. 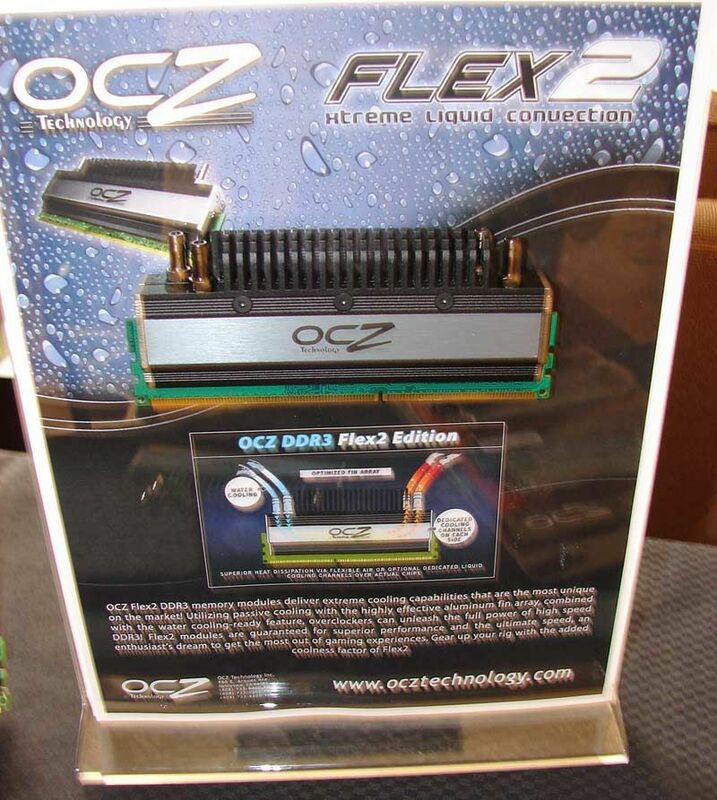 OCZ brings the powerful new EliteXStream 1000W to the system-builder and enthusiast market. With 1 Kilowatt of raw power, high efficiency (82%) rating and trend-setting single +12V Rail (80A), this PSU will provide optimum power distribution, all within a standard ATX form factor that easily fits most cases. OCZ is showcasing the latest edition of the NIA (Neural Impulse Actuator), an innovative input device that takes the next step towards a full integration of central and peripheral nerve activity into controlling personal computers. The Neural Impulse Actuator will be shown in gaming demos, and now features a USB connection and enhanced user software. The legendary Silencer Quad 750 will be showcased in a new blue version to add extra style to gaming systems, along with the original red and black models. 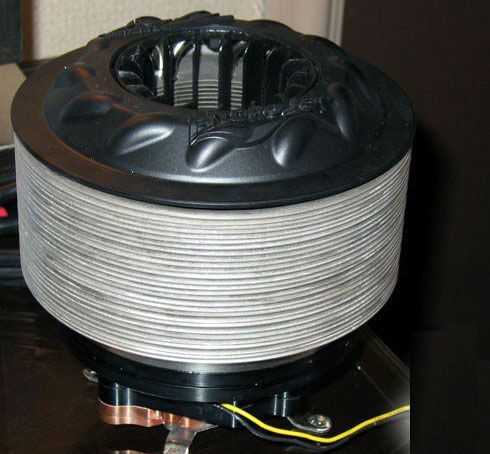 Also new in the lineup is the Silencer 500W EPS for mainstream enthusiast systems. The recently released Turbo-Cool 860W will be accessible for enthusiasts to experience the convenience of its adjustable rail design. A Hypersonic desktop system will be demoed featuring new Turbo-Cool 1200, featuring the revolutionary Enthusiast System Architecture (ESA) providing a real first-look at this innovation. OCZ Group announces a new gaming laptop series, Aero by Hypersonic. The ultra-thin and feature-rich Aero AR5 15.4” and AR7 17” notebooks are designed for performance and ultimate portability. Adding the excitement of CES, Hypersonic will be showcasing new Intel® mobile and desktop processor technology. Partnering with Intel to maximize mobility, Hypersonic will be one of the few exhibiting the new Santa Rosa Refresh mobile platform featuring 45nm Hi-k Intel Core™2 Duo mobile processor for Centrino®. You can find these notebooks at the Intel booth in Central Hall #7153 and at the OCZ exhibition suite. 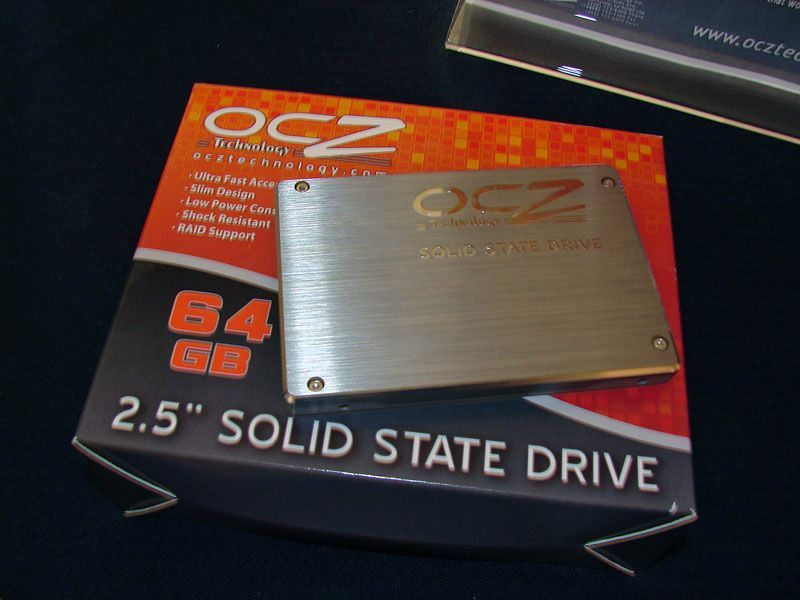 With a diversified offering of innovative products from OCZ, PC Power & Cooling, and Hypersonic PC, the OCZ Technology Group aims make its mark on this year’s CES and set the pace for a year in true innovation.